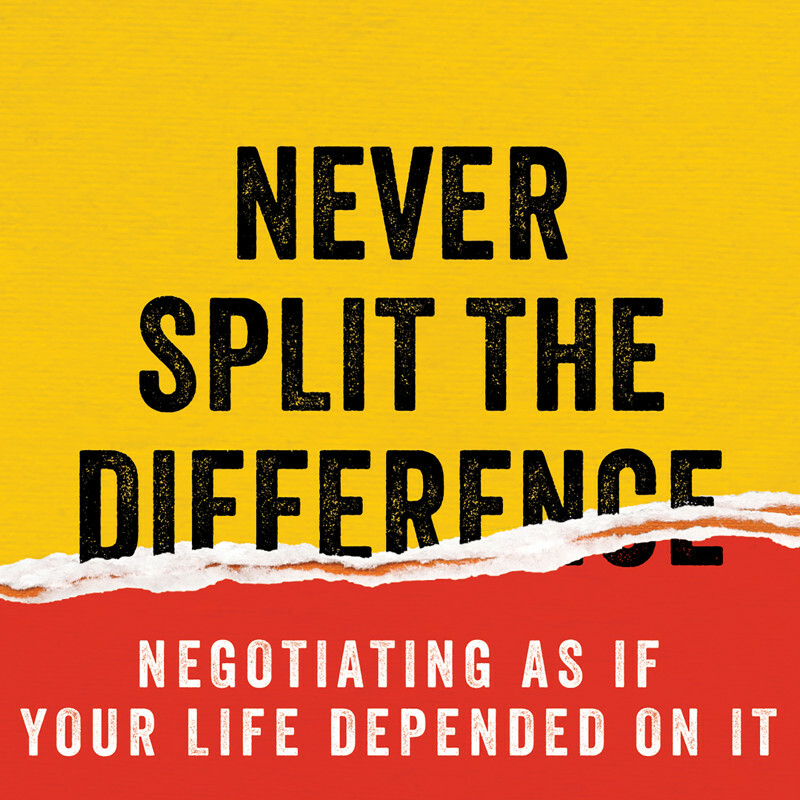 Never Split the Difference contains advice on negotiation from a former FBI hostage negotiator. The author comes off as a smart guy who really knows a lot about negotiation, and the concepts are thoroughly thought through and very well explained. This makes it the best book on negotiation I have read so far. Mirroring is a good way to disagree without plainly disagreeing. This technique often also makes your counterpart elaborate on what they just said. You do this by repeating the last words or summarize the most important things they just said. When you do this, you want the underlying thing the other part hear to be “please, help me understand.” There are three steps that you should follow to be a good mirror. 1. User your soft voice. 2. Start with “I’m sorry”. 3. Let your words sink in and don’t interrupt the silence which follows. “No” is the start of a negotiation. Most of the time “no” is better that “yes” and “maybe”, because it allows you clarify needs and terms. Try to get a “That’s right!” out of your counterpart. Usually you can trigger a “that’s right” with a good summary of all of your opponent’s arguments. Be aware of “you’re right”, which is just negative. Use what and how, which gives your counterpart the illusion of control and focuses their brain power on your problem. Almost never use why, as it often seems like an attack. Your offer is very generous. I’m sorry, this just doesn’t work for me. I’m sorry, but i am afraid I just cannot do that.